The third issue of MY Voice magazine Volume 1. 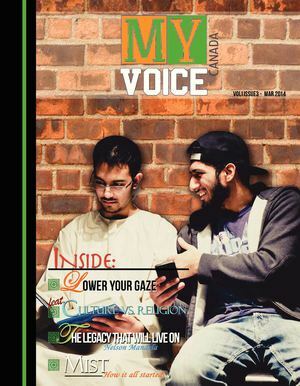 A magazine targeted at Muslim youth. Topics include, lowering the gaze, culture vs religion, MIST, and much more.